“Space is a fundamental aspect of the mind” John O’Keefe. Where Am I? 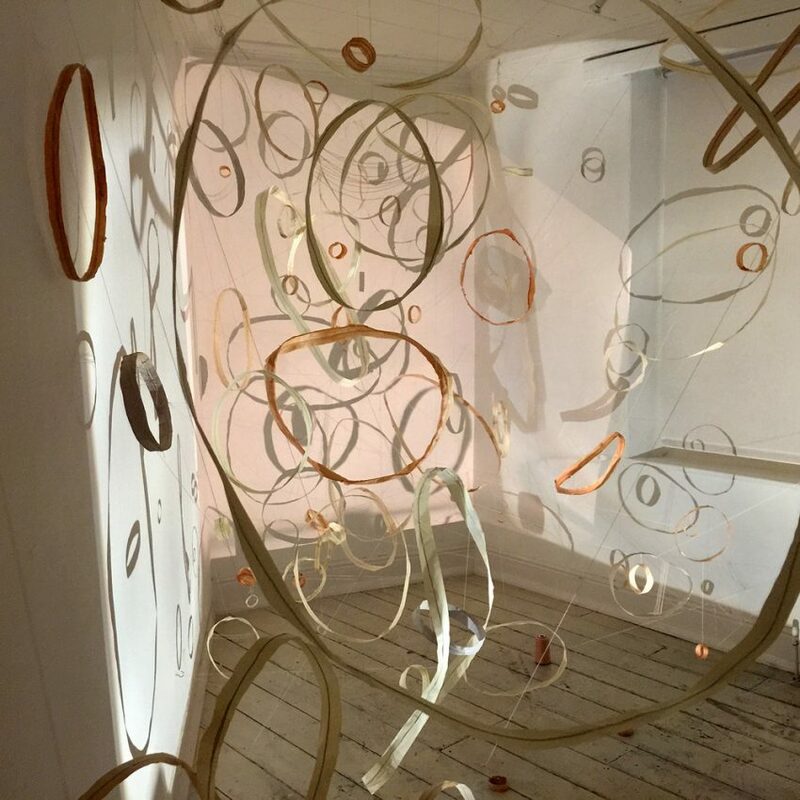 is a solo exhibition by artist Isla Millar which explores a progression from the physical to the cognitive. “We orientate ourselves through familiarity with spaces, recognition of landmarks, boundaries and memories of events. Inspired by moving home, this exhibition explores how changes to our physical surroundings disrupt our sense of place and how our mind creates cognitive maps to allow us to navigate our environment and know where we are”. This solo exhibition is kindly sponsored by the Cupola Gallery and the Sheffield International Artists Book Prize and features work created alongside Isla’s winning artist’s book. Organised by Cupola Gallery and held at their Hillsborough base, the exhibition was facilitated by Bank Street Arts and held as part of the Opening Up The Book festival organised by BSA.